I have a few good friends–mostly scattered over the internet–who are writers. I’ve been part of some great communities. Gotten to know people. Had fun with people. Shared ideas with them. And I’m incredibly grateful for the internet. It’s the thing that makes it possible to find people who share my interests and goals. We kick around ideas for promotion. I know we’re all in it for fun, but hey… fame and fortune wouldn’t be bad, either. Some of our ideas aren’t too bad. Some of them are pretty good, if you could just see the tightrope from inside that chicken costume. Well, we do what we can to keep the readers coming. 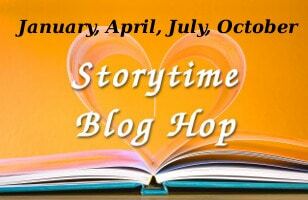 So, our blog hop has Juneta Key, from over at the Writer’s Gambit. And for those of you who don’t know her, Juneta’s one of these incredibly talented, incredibly outgoing, shirt-off-her back types. She’s been promoting tirelessly, and getting the kind of results I could only dream of. And today, one of them–Alex J. Cavanaugh from the Insecure Writers’ Support Group promised that if he couldn’t make it to our Blog Hop, he’d at least help us out with some promotion. Thank you, Alex! IWSG is a really big, long standing, blog hop that posts on the first Wednesday of every month. I’ve only been involved for three or four months, but it’s done great things for me. It’s an incredibly supportive group, and I’m in awe of it. And I’m so grateful for Alex’s help. But wait a minute. If other people have faith in me, that means I’ve gotta come up with something brilliant, and really, really good for the blog hop.